Both Firefox and Firebug are moving targets. Please make sure you use compatible versions. I'm unable to test all possible combinations. Version 1.1 is tested to work with official Firebug 1.5 (Firefox 3.5 and 3.6) <- it is not compatible with Firebug 1.4 anymore! Install this Firefox extension via addons.mozilla.com. 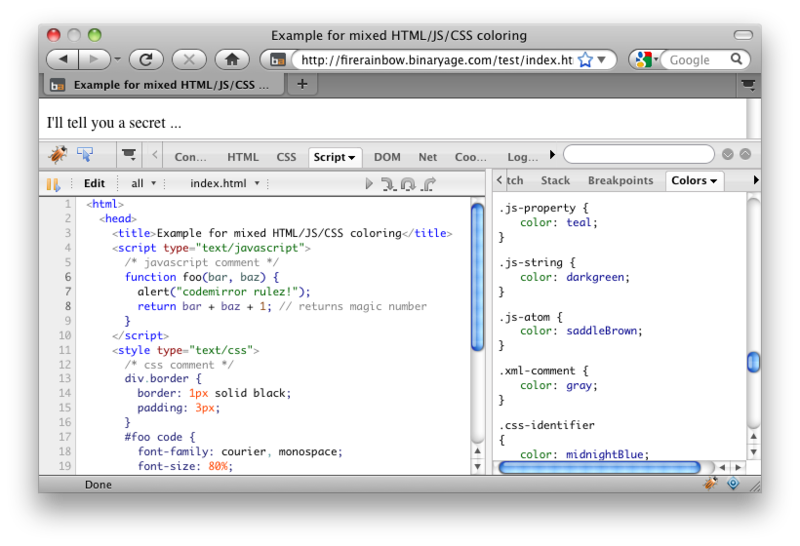 You need Firebug 1.5+ for the latest version to work. 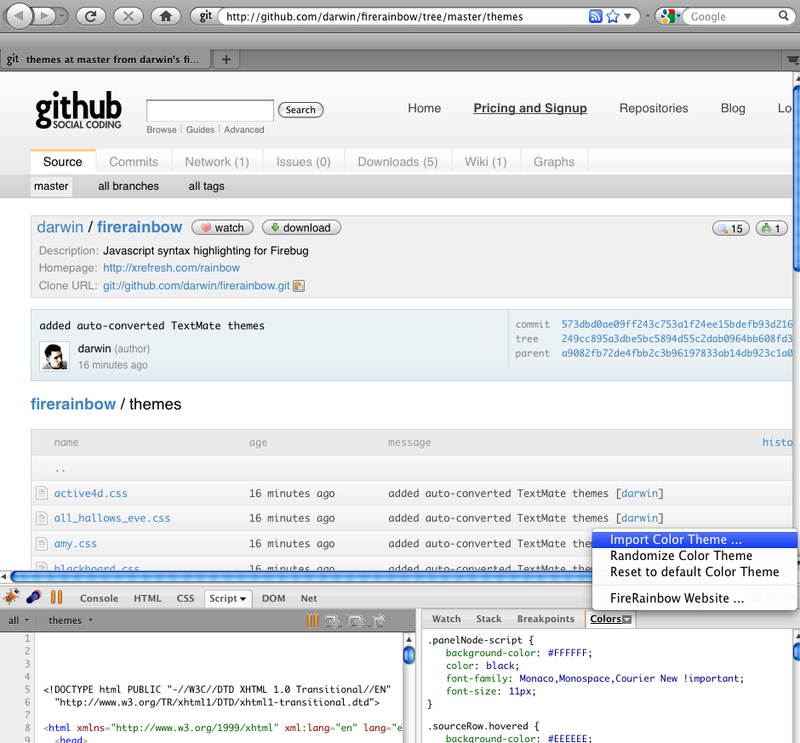 If you are still stuck with Firebug 1.4, install version 1.0. If you are still stuck with Firebug 1.2, install version 0.7. Note: Some people have reported they are unable to download and install the extension via addons.mozilla.com. In this case you may try this workaround. If everything went ok, you should be able to find your fresh XPI under build/firerainbow-X.Y.xpi. Feel free to fork the project and contribute your very own theme.